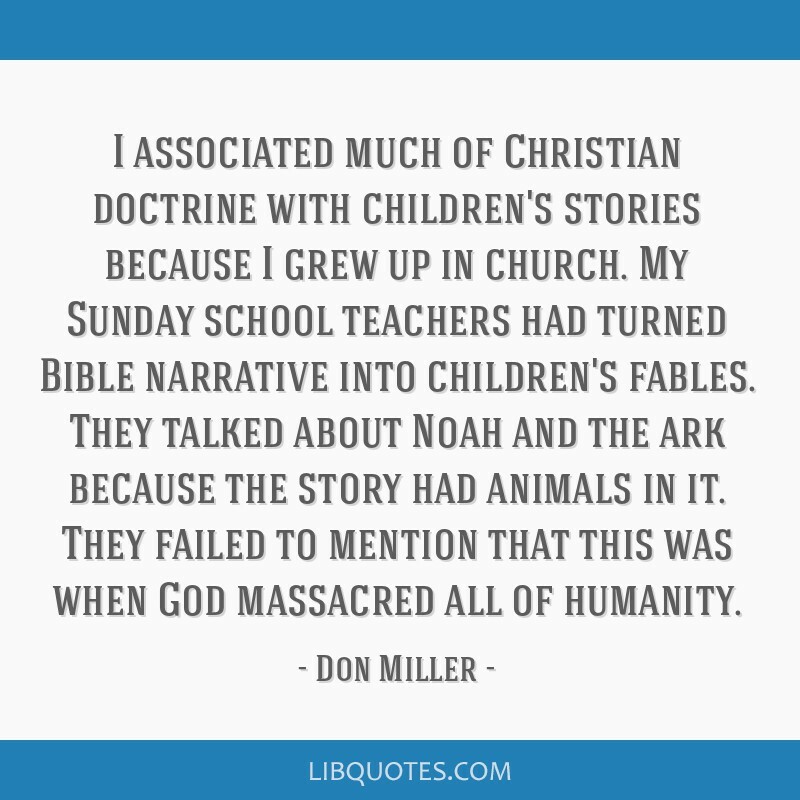 I associated much of Christian doctrine with children's stories because I grew up in church. 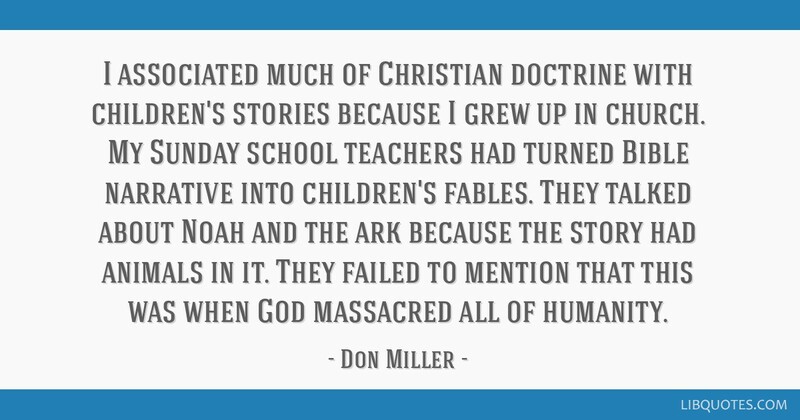 My Sunday school teachers had turned Bible narrative into children's fables. 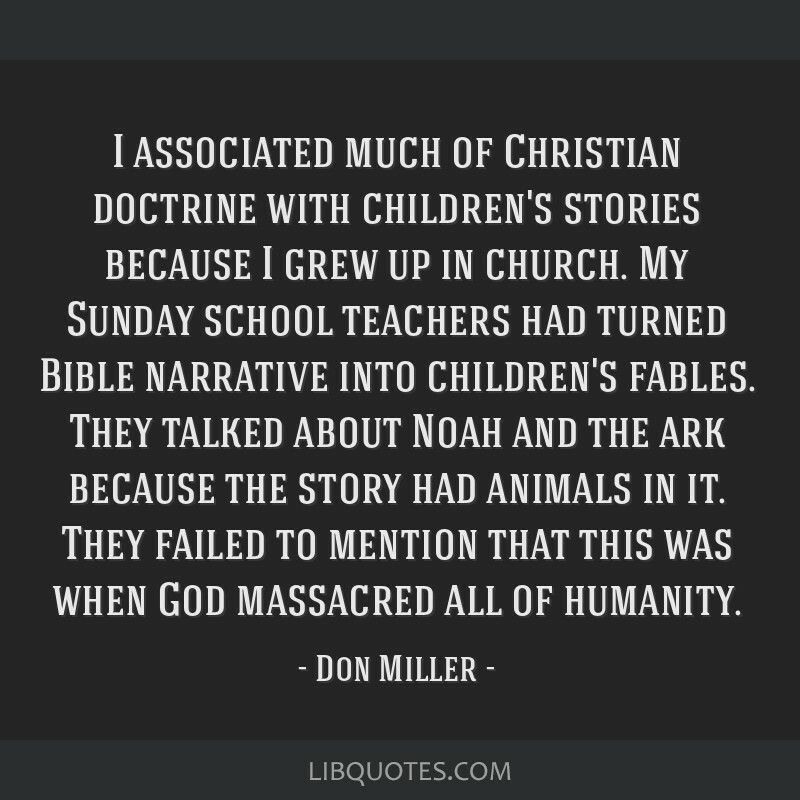 They talked about Noah and the ark because the story had animals in it. 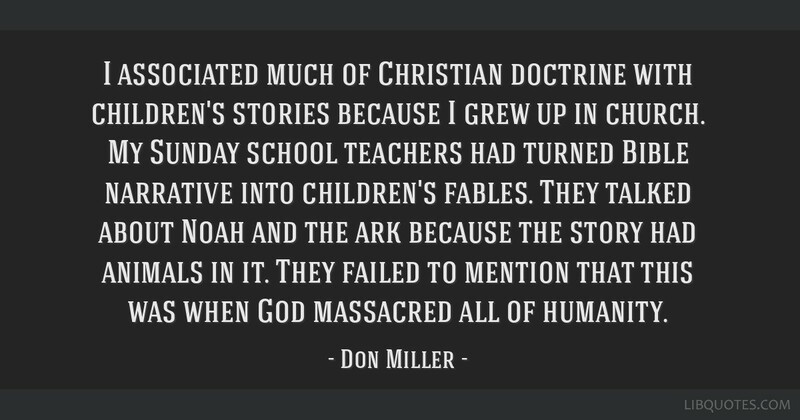 They failed to mention that this was when God massacred all of humanity.